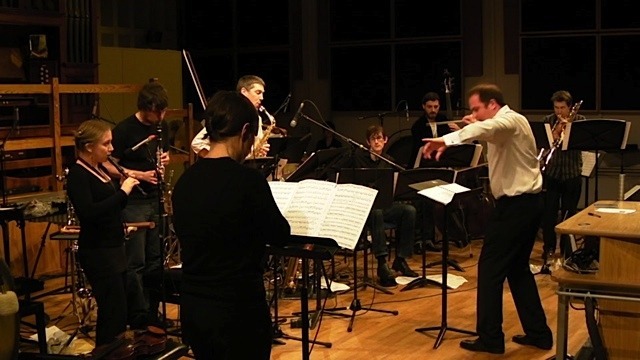 Cork Orchestral Society presents Ed Bennett’s 10 piece virtuosic ensemble Decibel in Cork for the first time. In this special portrait concert of Ed’s music, this handpicked ensemble of amazing musicians will present a high energy programme ranging from wild and driving polyrhythmic workouts to delicate moments of stillness and quiet introspection. Cork Orchestral Society presents Ed Bennett’s 10 piece virtuosic ensemble Decibel in Cork for the first time. In this special portrait concert of Ed’s music, this handpicked ensemble of amazing musicians will present a high energy programme ranging from wild and driving polyrhythmic workouts to delicate moments of stillness and quiet introspection (including a brand new commission written especially for this tour). At the centre of the programme is a substantial recent work ‘Togetherness’ which explores the possibility that working together whilst retaining our own unique and individual identities is the key to a brighter future.